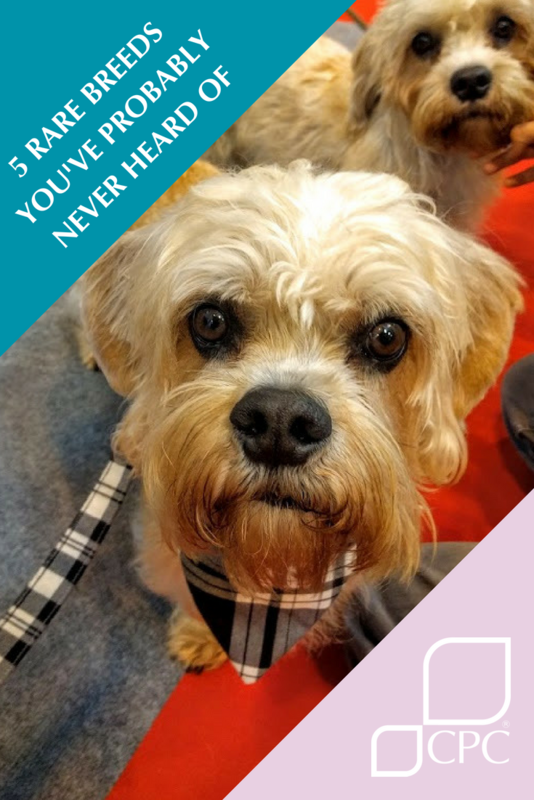 “Rare breeds” are classed by the Kennel Club as having diminishing numbers of registered pups, and average less than 500 registered in the past five years. The breeds in this blog have all had less than 100 pups registered in the past year. When we think of dogs we invariably think of the popular breeds we’re used to. The Labradors, the Goldern Retrievers, Pugs, French Bulldogs and the gorgeous Staffordshire Bull Terriers. There are, however, a whole host of rare breeds out there that we may never get to meet due to dwindling numbers. 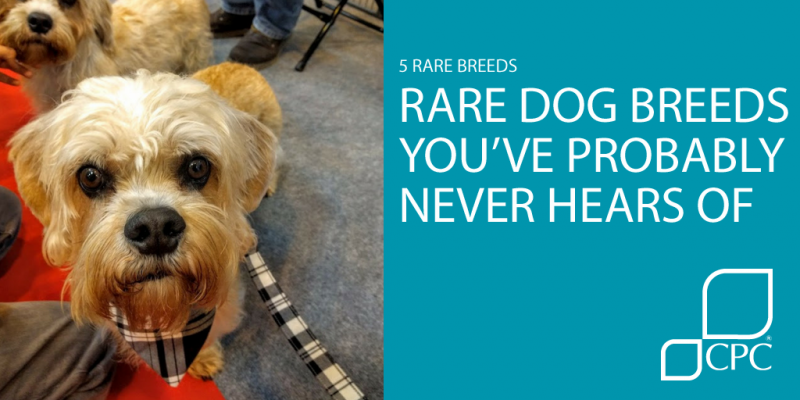 We’ve found five breeds at random that are rare and collected a little information on each one! 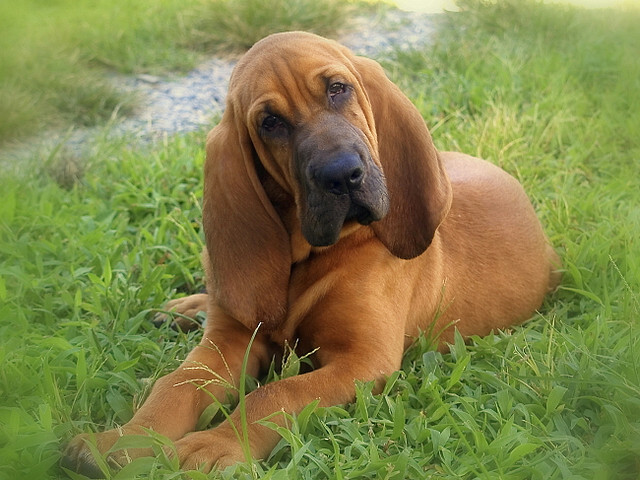 The Bloodhound is a centuries old breed of dog. Used for hunting deer, wild boars and people in the middle ages, the Bloodhound used to come in a variety of colours and possibly originates from Belgium. Bloodhounds are known for their amazing sense of smell; they can discern the difference between human scents even days after the event. As a family pet, the bloodhound is known to be gentle and even tempered. They can be difficult to obedience train ad they are known to be very strong willed, but they are also very affectionate. Bloodhounds have been on the endangered list since at least 2010, when the Kennel Club registered only 55 new pups in the UK. They have been gaining in popularity a little and 77 new pups were registered in 2015. A surprising addition to this rare breeds list is the Smooth Coated Collie. Collies of all varieties have, generally, always been quite popular due to their superior herding abilities, but the Smooth Coated Collie has recently fallen out of favour. The Collie breed in general has a long history in the UK, believed to have originated in Scotland around the 5th century. A charming theory is that the name “Collie” comes from the Scots Gaelic word, càilean, meaning “doggie”. 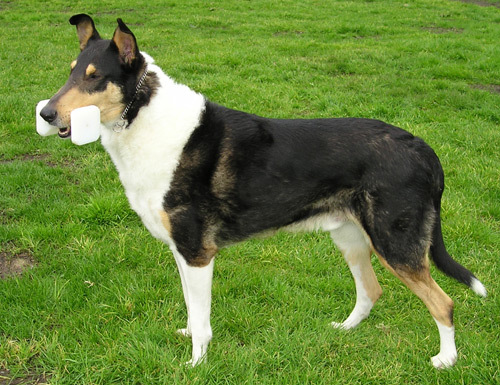 Smooth Collies are known to be alert and focused dogs that can be quite vocal! They are easy to train and generally sociable with an eagerness to please. Due to their eagerness to please they can be quite shy and require gentle training rather than a firm hand, they usually get along with everyone; other dogs and children included. Smooth Collies were popular in the later Victorian era, when Queen Victoria became interested in them and in turn they became fashionable family pets. This popularity has not lasted, however, and there were only 78 new pups registered in the UK in 2015. The origins of the Dandie Dinmont Terrier are unknown, although there is anecdotal evidence for similar terriers being used to hunt otters and badgers during the 1600s. The Dandie Dinmont Terrier was first registered with the newly-created Kennel Club in 1875 and has remained since. 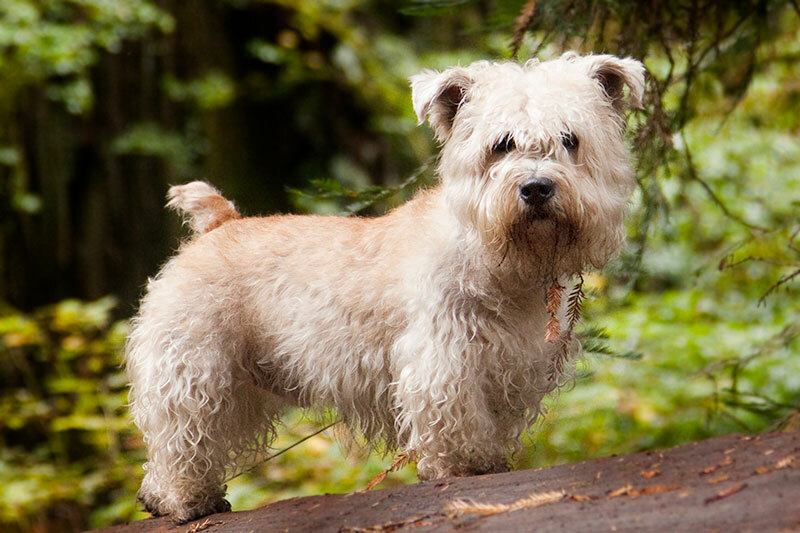 Dandie Dinmonts are known to be friendly, but incredibly tough and resilient. Although they are possibly one of the most docile of the terrier breeds, they make good guard dogs and are suitable for older children. The numbers of Dandie Dinmonts have been a bit up and down in the last few years. There were 151 registered pups in 2010, but only 98 in 2011. 2015 saw only 88 new registrants, down from 144 the previous year. The black and tan English Toy Terrier is very close to our hearts here at Petrest. The history of the black and tan terrier can be traced back to medieval times, gaining popularity in the Victorian era due to the sport of rat baiting. 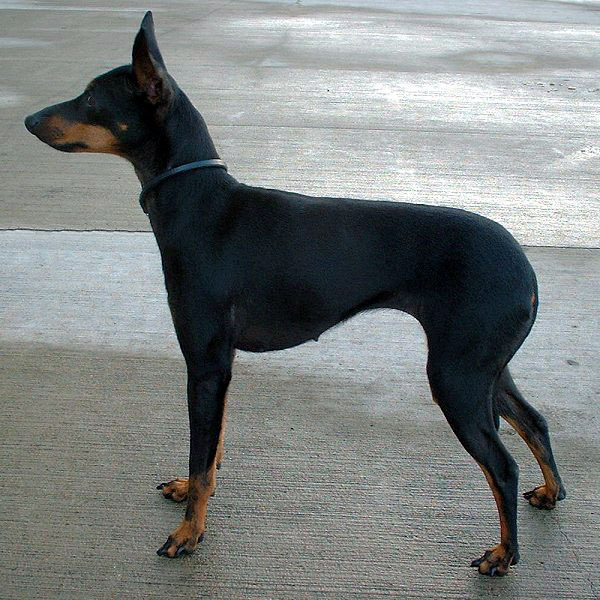 Originally one breed, the English Toy Terrier is the smaller cousin of the larger Manchester Terrier, a breed of dog owned by our marketing assistant and seen on a few of our blogs (Check out our Camping With Your Dog blog). English Toy terriers are known to be fast and agile (traits for which they were specifically bred). They are also very intelligent and strong willed, lovable and friendly. They make excellent companions and, although they do require exercise, they also love to cuddle up to their owners regularly! Sadly, the English Toy Terrier has seen a decline in recent years. There were 136 pups registered in 2010 and only 78 in 2015. Efforts are being made to increase the gene pool and the Kennel Club has opened the stud book to North American Toy Manchester Terriers as long as they are certified toy varieties and registered as English Toy Terriers. 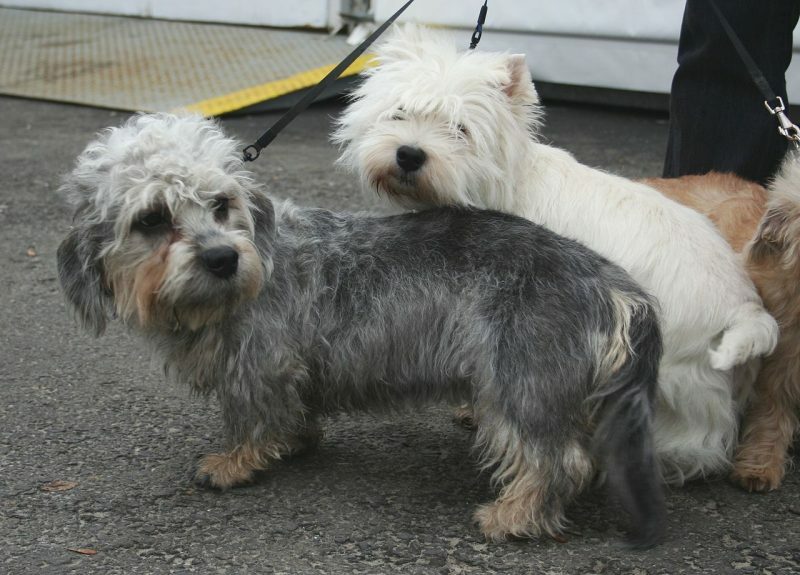 The Glen of Imaal Terrier (Glen for short) is another endangered terrier breed. This breed’s history can be traced back to around the time of Elizabeth I (1558-1603) but has only been recognised by the Kennel Club since 1934. The American Kennel Club only recognised the breed as late as 2004. The Glen of Imaal terrier was bred, as are many terriers, for hunting and pest eradication. Hunting vermin such as rabbits, otters, badgers and foxes, the Glen of Imaal terriers are strong dogs (rather than sounders). They hunt mute and silently dig into dens and warrens to capture their prey. These soft coated terriers are good family pets. Although many terriers seem to be quite energetic and more than just a little demanding, the Glen of Imaal terrier is very even tempered. They are known to be less vocal and quite pleasant easy-going dogs. While they do have a very easy going nature, they can be stubborn. This is a terrier trait and most require a strong leader! Having become nearly extinct towards the end of the nineteenth century, the Glen of Imaal terriers enjoyed a slight revival in the twentieth century. Numbers of registered pups have slowly rise, seeing 61 registered in 2010 and 79 registered in 2015. If you’re thinking of adding a new puppy to your family perhaps consider a rare breed? The adopt don’t shop mantra is great for those who are looking to rescue a dog in need. There are, however, many more rare breeds than just the five we’ve seen here. They could do with numbers boosting too! Even better if you can rescue a rare breed! Have a rare breed dog? Perhaps a rare breed cat (blog coming in the future!). Let us know on Facebook or Tweet us a photo! We love to see you all getting involved!